Zigbee vs Z Wave: Which is best for your smart home? We look at the pros and cons of the two leading smart home wireless protocols. If you’re a smart homeowner, there’s a good chance you’ve seen the words Zigbee or Z Wave on items you’ve purchased. That doesn’t mean you know what either of them is though. Or, if you do, maybe you’re still unclear on how they differ. In short, your wireless smart devices need to co-exist, and they can’t do that if they all run individually, apart from one another. Zigbee and Z Wave are wireless protocols which allow your connected devices to “talk” to each other. Rather than using power-intensive Wi-Fi or short-range Bluetooth, Zigbee and Z Wave use low-energy radio waves to allow the devices to remain connected to each other within your smart home. 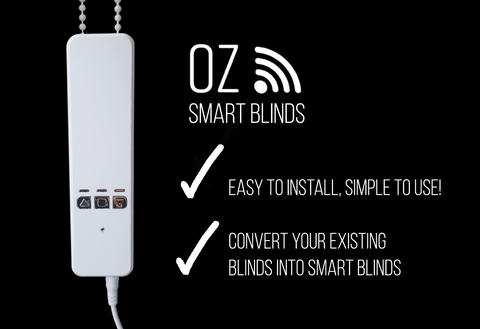 That being said, they aren’t exactly the same, and you may find that one is better suited to your smart home needs. So let’s dive in. 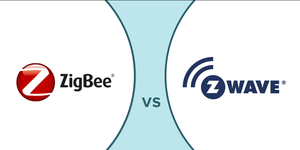 In the Zigbee vs Z Wave showdown, which is the best for your money? Both Zigbee and Z Wave run on “mesh” networks. This means that, while both make use of a central hub connected to the internet, a signal can be shared across devices without a Wi-Fi connection. Zigbee uses the IEEE’s 802.15.4 personal-area network standard to keep your Zigbee devices connected. With AES 128-bit symmetric encryption, it keeps your data (shared from device to device) relatively secure. It runs at 2.4GHz, which is pretty good, but could lead to interference from everything else running at that frequency. At data speeds of 250kbps, it also responds pretty well to your instructions. 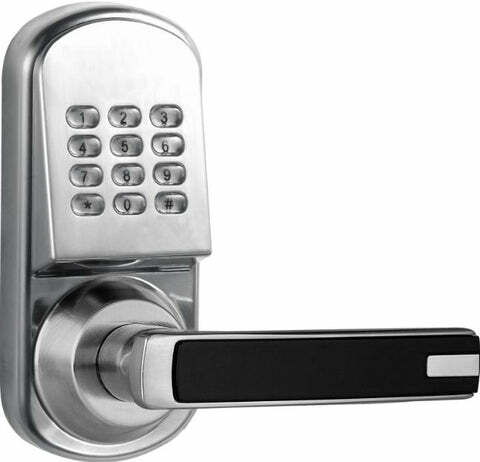 Z Wave also runs AES 128-bit symmetric encryption. Z Wave’s 921.42MHz (Australia) radio frequency range puts it slightly ahead of Zigbee, as it’s less likely to experience interference at that frequency than its competitor. Z Wave has a range of 100m between points of contact. 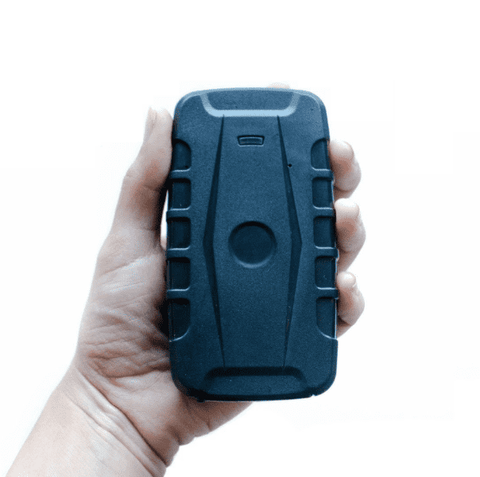 That’s pretty long, and will likely work fine in an average home — unless you want to connect the shed in your backyard or just have widely spaced out devices in a larger home. Even if that’s the case though, Z Wave’s SoCs (system on a chip) allows you to place additional sensors in buffer zones to boost your signal. Zigbee’s range, in contrast, can be as low as 10m, so you’ll need your devices to be a little closer together. That range can extend as far as 30m though, depending on wall materials and line of sight, so it’s still in the running. You’ll just want to keep that in mind for larger, spaced out homes. Z Wave taps out at 232 devices, while Zigbee allows 65,000 devices or more. While that’s a huge difference, it really shouldn’t affect your choice much, unless you’re one of the 0.1% of smart homeowners who somehow has more than 232 smart devices. Then again, the tech sphere changes so quickly that maybe you’ll be wanting that much connectivity within a few years. Supported devices might make the decision for you. Zigbee supports slightly more devices than Z Wave, but the difference is pretty negligible (about 2,500 brands versus about 2,400). The number of devices is probably less helpful than the specific brands, as you might be more interested in what is supported rather than how much. So what does each company support? You can find a full list of Zigbee-supported products here. 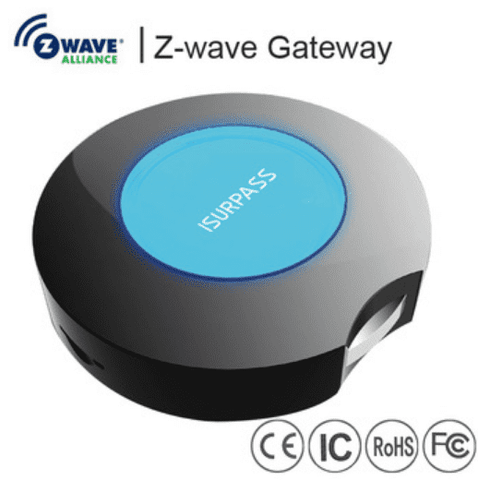 And Z Wave-supported products are available here. Admittedly, you’ll find more of the major smart home brands at Zigbee, like Philips Hue, and premium devices like Amazon Echo Plus. Having said that, the best choice will depend entirely on the specific devices you prefer for your own home. So, what to choose? Zigbee and Z Wave have become some of the most ubiquitous wireless protocols for smart home connectivity. But which is better? As with so many product showdowns, the answer isn’t simple. Hopefully, we’ve given you enough details to pick your own Zigbee vs Z Wave champion, specifically suited to your family’s smart home needs. The answer will largely depend on the range you need, the number of appliances you have, and the brands you prefer. In a nut shell here at Oz Smart Things we consider compatibility to be the most important factor when deciding what Hub to use. This is the most common problem our installers have but if you choose Z-wave the problem is eliminated because of the Z-wave alliance and this is the reason we choose it for our store.